The role of the chief information officer is expanding beyond that of a technology champion. As organizations become increasingly digital, the CIO will need to become a partner who helps shape the business. In the past, as organizations developed back-end technology to support business needs, the CIO’s primary mandate commonly was to “keep the lights on and the trains running.” Business growth was often defined as increasing scale, complexity, and integration of systems—objectives that required CIOs to be trusted operators, focusing almost exclusively on operational excellence. They could build a legacy by providing operational discipline and enabling technologies that were efficient, reliable, and cost-effective. In 2015, Deloitte’s global CIO survey, Creating legacy,1 introduced the trusted operator, change instigator, and business cocreator as three distinct pattern types that represent how CIOs deliver value to their organizations (see sidebar “CIO pattern types” for more detail). We surmised then that no pattern type was superior; instead, each was a manifestation of the organization’s specific needs and mandates. The 2016–17 survey, Navigating legacy,2 expanded on this theme by concluding that CIOs’ roles were likely to shift among these pattern types over time as the needs of the organization changed. Our 2018 survey reflects the immense changes brought about by the digital era. The third and final CIO legacy report, Manifesting legacy suggests that although 55 percent of CIOs are currently serving as trusted operators, this pattern type will gradually become obsolete as the digital era progresses. To remain relevant and influential and help their organizations use technology to enable business strategy, CIOs should develop themselves as change instigators and business cocreators. Today, organizations typically expect CIOs to do more than keep the lights on and the trains running. Survey respondents indicate that the top two expectations of CIOs are to align to business strategy and transform business processes, with IT operational excellence following as the third. Yes, CIOs should build and maintain solid back-end core systems, but they also need to leverage digital technologies to streamline business processes, engage employees and customers, and drive new value-generating business models. For many organizations, business strategy and technology are inseparable; business leaders understand the influence of both. For CIOs, digital can present an uncommon opportunity to realign their roles to the new business reality. And this is where it gets personal: Are you satisfied being known mostly as a competent functional leader? Or do you want to help shape and lead the digital future of your organization? That’s a choice you may need to face sooner than you think. And, if you’re inspired to elevate and expand your role, how do you go about realizing that ambition? Are there deliberate actions, behaviors, shortcuts, and avoidable detours that could accelerate and amplify the path to an evolved tomorrow? This year’s global CIO survey of 1,116 CIOs and 321 CXOs reveals the current state of the CIO role—and what will likely be required for CIOs to remain relevant over the coming years. Nearly 10 percent of this year’s survey respondents are leaders who have advanced farther in the journey of incorporating technology into their digital business strategies than others. These respondents report both that their organizations have a clear digital vision and strategy and that the IT organization is perceived by the rest of the business as a market leader in terms of digital and emerging technologies (see figure 2). We call these organizations digital vanguards. We observed measurable differences between these organizations and baseline organizations in terms of defining the CIO’s role, acquiring and retaining IT talent, allocating funding and investments, and ultimately delivering value. Digital vanguards have not yet reached their digital destination, but they are a few years ahead of the rest. They serve as a guide for what the future may hold beyond current digital initiatives. The digital era presents CIOs with the opportunity to look inward and reinvent themselves by breaking out of the trusted operator mold. We note, as in previous surveys, the importance of strong relationships to the CIO’s business success. This year we suggest that developing a technology fluency program can help create a solid foundation for these relationship-building efforts. A tech fluency program can provide organizations with knowledge about technology trends, scalability of emerging technologies, and complexities of managing legacy core systems—while enabling CIOs to understand internal and external customer perspectives. CIOs can also look across the IT organization and transform it, particularly by focusing on the IT operating model, funding priorities and budget allocation, and tech talent and culture at the heart of their digital agendas. Finally, CIOs can look beyond emerging technologies at the peak of their popularity—although many of these technologies may be fundamental to the organization’s digital vision—to the technological core, which should be modernized to be a successful foundation for these new emerging technologies. The core can then become a platform for a systematic innovation process that helps CIOs foster credibility by driving an understanding of emerging technologies, strategically prioritize innovation projects, build business cases, and deliver proofs of concept. In the digital age, technology has increasingly become a primary driver of business transformation and growth, ending the era of business-led, technology-enabled organizations. Today’s successful organizations—and their CIOs—are adopting a technology-led, business-enabled mindset to drive transformation, growth, and revenue. While new organizations are born digital, many CIOs in organizations that are digital non-natives struggle to close the gap between traditional technology stacks and emerging digital capabilities—cloud, mobile, social, automation, cognitive, and more—that can enable streamlined processes, increase employee and customer engagement, and drive new business models. More than half of CIOs surveyed are focused on efficient, reliable IT operations. Unless they transform themselves—and their organizations—they may fall short in meeting mandates for business growth and transformation that are increasingly driven by digital capabilities. For many, the transition from functional leader to organization leader will be challenging. Many CIOs rose to the position of IT leader based more on technology know-how than on vision, communication, or relationship skills. To become organization leaders, however, CIOs will likely need to develop the business and soft skills necessary to translate technology expertise into business solutions that drive revenue and efficiencies. The traditional competencies around delivering results and being problem-solvers will likely carry less weight (see figure 4). Our survey data shows that CIOs recognize the need to evolve specific leadership skills in the future—focusing on delivering major organizational change (66 percent), building high-performance teams (63 percent), and influencing others (48 percent). Additionally, CIOs will likely need to develop leadership values that center on providing direction, harnessing innovation, and empowering others to drive the digital agenda. Not surprisingly, digital vanguard CIOs list innovation as their top business priority (57 percent), followed by customers (56 percent), and growth (48 percent). In baseline organizations, innovation is listed as only the fourth most important business priority (43 percent), following performance (56 percent), customers (48 percent), and cost (44 percent). Digital vanguard CIOs appear to recognize the increasing importance of innovation given the rapidly changing landscape. Digital vanguard CIOs are also 42 percent more likely than CIOs of baseline organizations to be business cocreators and change instigators, who have more of the skills and capabilities required to transform business operations and drive top-line growth significantly than do trusted operators. This is a critical moment for CIOs who are ready to step out of the shadows and join the ranks of executives strategizing and executing the business’s next moves. The digital era has arrived at an opportune moment for CIOs looking to burnish their business credentials. Digital has brought many organizations to a crossroad where they must lean on technology to transform business operations and drive top-line growth. As technology gurus, many CIOs are well positioned to inform, shape, and lead their organizations’ digital efforts. Leveraging their technology and business expertise, CIOs can use digital to become more engaged with strategic business initiatives and to help drive true transformation throughout the IT organization and across the business. Digital can present CIOs with the opportunity to be the business leaders that they want to be—and that their organizations need. Ninety-six percent of the executives surveyed identified digital as a strategic priority, at either a functional or organization level. However, only a quarter of respondents say their organizations have an enterprisewide vision and strategy in place. Our data also indicates that the definition, span, and scope of digital varied significantly (see figure 5). Organizations are using digital technologies and capabilities to transform business operations (69 percent) and drive top-line growth through improved customer experiences (64 percent), two digital pillars that neatly align with CIOs’ two mandates. IT is also engaged in its own initiatives: transforming IT infrastructure and cloud (51 percent) and organization platforms (50 percent). The absence of digital strategy and definition can present an opportunity for CIOs to lead—or at least influence and align—digital strategy and execution. The lack of definition and clarity on digital is not necessarily a disadvantage: It can be turned into an advantage for CIOs who can help shape and define it. While 60 percent of CIOs surveyed indicate that they do not lead digital strategy development, 27 percent of those organizations in which another leader is responsible for the digital strategy still have a CIO responsible for leading digital execution (see figure 6). In other words, many CIOs already have one leg in the digital waters through their IT initiatives and responsibilities, but they likely need to expand beyond leading with the technology lens. They should prepare to expand their influence across other areas of the organization. We are at the edge of a digital era in which many organizations, regardless of industry, are looking to harness emerging technologies to drive business transformation and growth. In response to these changes, the CIO’s role may be quickly shifting from being a steward of technology to a partner in shaping the future of the business. Nearly 70 percent of survey respondents agree that the CIO—even more than the CEO (61 percent)—will have one of the most important roles in driving digital initiatives in the next three years. As technology leaders, CIOs with vision, communication skills, and relationships are well positioned to command more influence and responsibility than ever before. 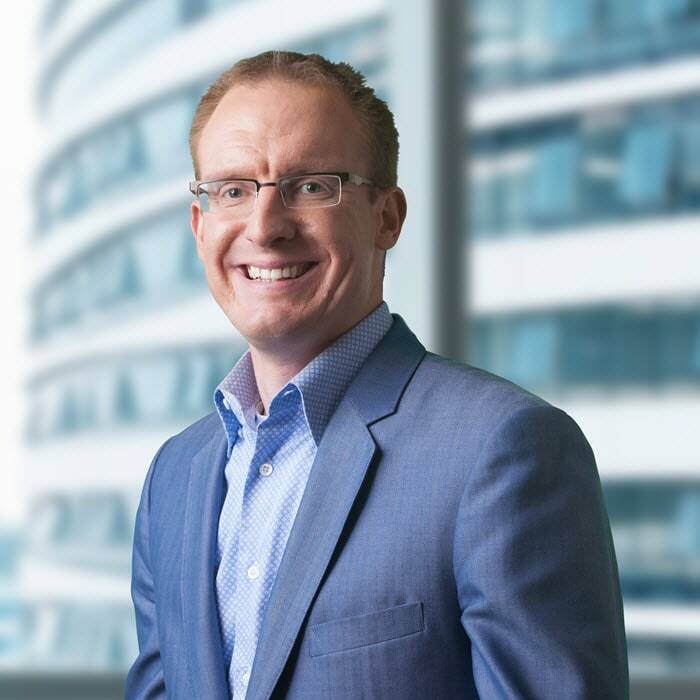 Bill Briggs is chief technology officer of Deloitte Consulting LLP. He is based in Kansas City, MO. 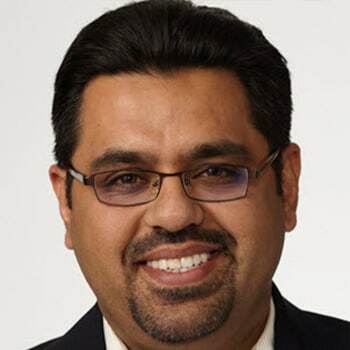 Khalid Kark is a director with Deloitte LLP, where he leads the development of research and insights for the CIO Program. He is based in Dallas, TX. 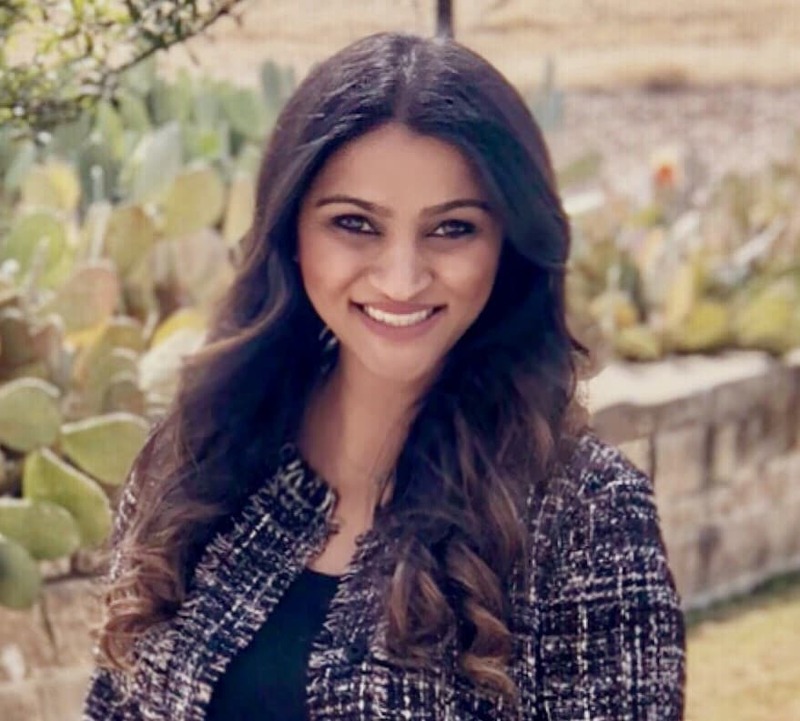 Anjali Shaikh, senior manager, leads the research and insights team for Deloitte Consulting LLP’s CIO Program and leads publication for the Global CIO Survey and Deloitte’s CIO Insider series. She is based in Costa Mesa, CA. 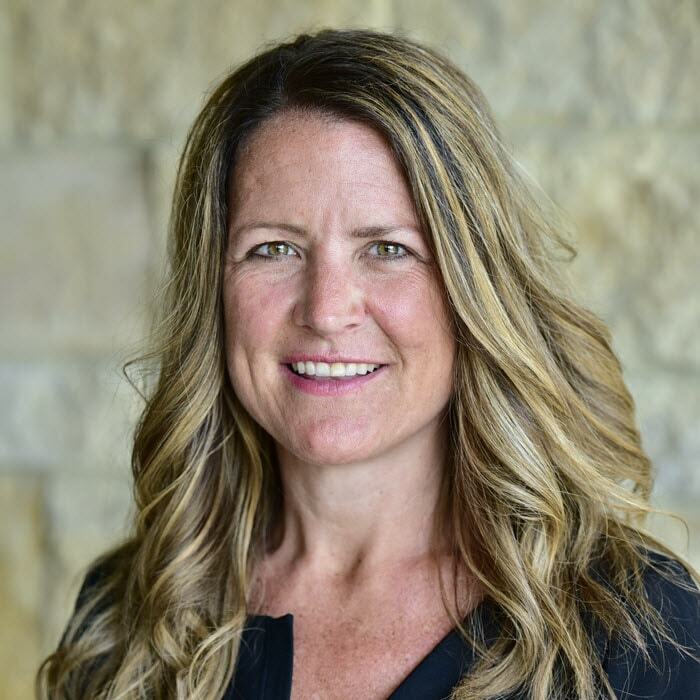 Kristi Lamar is a managing director and the experience leader for the Deloitte US CIO program at Deloitte Consulting LLP. She is based in Denver, CO.
Anjali Shaikh for spearheading this year’s efforts with unparalleled drive, passion, and perseverance. You were instrumental in planning, strategizing, and executing this research and served as the focal point for all our activities. Thank you for being an excellent role model and pushing the team to new heights, being relentless in your pursuit of excellence, and manifesting a report that simply would not have happened without your commitment or leadership. Caroline Brown for articulating interviews and research with eloquence and clarity. Thank you for providing your editorial eye to survey questions, quotes, and report content, making them succinct and punchy. Your contributions are truly appreciated and evident throughout the final report—down to the last word. Dana Kublin for dedicating your unbounded creative capital and exceptional design skills to all aspects of the report. Thank you for your patience through our many iterations and for bringing a distinct visual identity and flair to the graphics and charts. You translated the practical into the unimaginable and elevated the story in a way only you can. Elizabeth Moore for hitting the ground running from day one. You were truly the steady hand behind much of the report development, and you continue to guide outstanding insights from this research. Your ability to manage the team and inner workings of all of the moving parts during all phases is unparalleled and invaluable to this year’s report. Allen Qiu for sharing with us your statistical expertise, data mastery, and contagious passion for analysis. You never wavered in your pursuit of insights and took the reins without hesitation to manage even greater responsibilities as opportunities arose. Thank you for applying your clear thinking and succinct analysis at every turn. Keara O’Brien for harnessing your technical chops and determination in launching this year’s survey. Best of luck in the next stage of your own legacy journey; your void on our team is definitely felt as we launch this report. Liz Sarno for jumping into the fray and leaning in with your fresh perspective when it was needed most. Kristi Lamar for your unwavering guidance, encouragement, and confidence in the team’s ability to execute. We are incredibly grateful for your mentorship and sponsorship; thank you for being there for our team every step of the way. Tiffany Stronsky for being the force behind our marketing activities. Thank you for tackling all things marketing, social media, and public relations, connecting the dots across many fronts to generate engagement. Chuck Dean, Andrew Derr, Jim Eckenrode, Tonie Leatherberry, Peter Vanderslice, and Mark White for leading US interviews, as well as Thomas Alex, Natalie Andrus, Abdoulaye Beavogui Koma, Enoch Chang, Kelly Gaertner, Katherine Noyes, Charlie Rota, Jessica Sierra, Ulyana Stoyan, Divya Subramaniam, and the diligent global note-takers and staff who together conducted interviews with more than 100 CIOs and CXOs worldwide and provided insights to build the foundation of the report. Mark Lillie, William Beech, Anna Filatova, Naaman Curtis, Max Cantellow, and the leads from Deloitte member firms around the globe who facilitated the surveys and interviews across 71 countries to help us deliver the 2018 global survey and report. Junko Kaji, Matthew Budman, Mike Boone, Rithu Thomas, Emily Moreano, Kevin Weier, and Molly Woodworth from the tremendous Deloitte Insights team for your enduring expertise and partnership. Your advice, feedback, and flexibility have allowed us to consistently create an outstanding final product. A big thank you for all that you do for our team and so many others. Although this is the third and final report in Deloitte’s CIO legacy project, we recognize that creating a lasting personal and professional legacy is a lifelong endeavor. To all the executives who participated in this project: Thank you for your individual and collective willingness to explore, develop, and transform your own legacies. You will continue to be an inspiration to future technology leaders throughout the digital era and beyond. Through our conversations with technology and business executives alike, we were reminded that behind every leader—and every vanguard—is a village of individuals who steadfastly support, mentor, and inspire. Thank you for your many contributions and, more importantly, your perspectives; they are the foundation of how your organizations’ successes are manifested beyond the digital era. Gerald C. Kane, Doug Palmer, Anh Nguyen Phillips, David Kiron, Natasha Buckley, Coming of age digitally: Learning, leadership, and legacy, Deloitte Insights, June 5, 2018. Manifesting legacy: Looking beyond the digital era has been added to your bookmarks. Manifesting legacy: Looking beyond the digital era has been removed from your bookmarks.